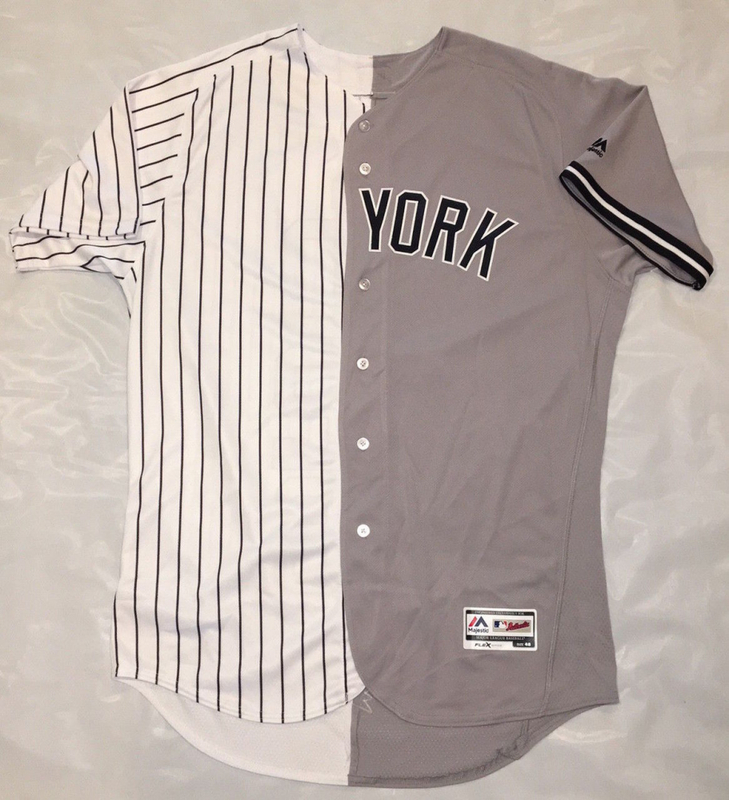 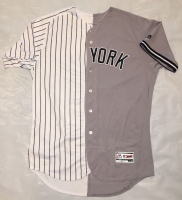 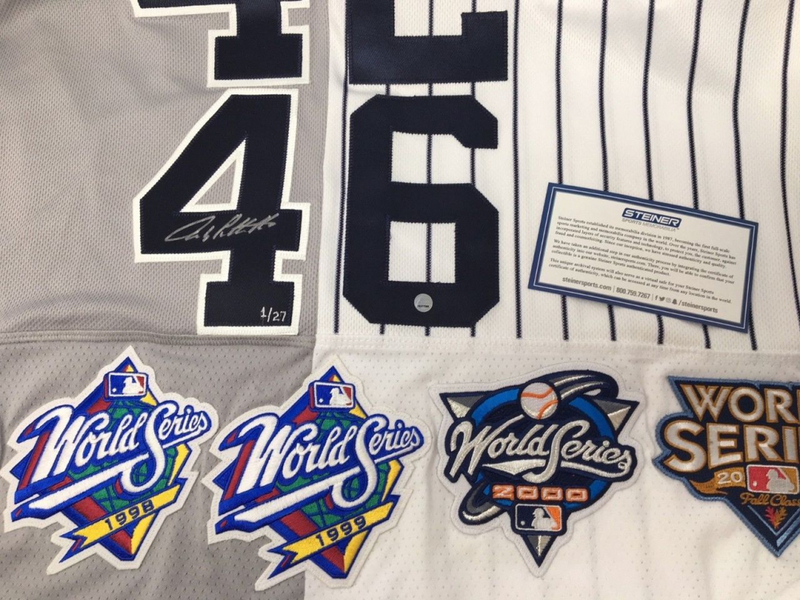 This "Core Four" Majestic Authentic Yankees jersey has been personally hand-signed in silver paint pen by Yankees' legends Derek Jeter, Mariano Rivera, Jorge Posada and Andy Pettitte. 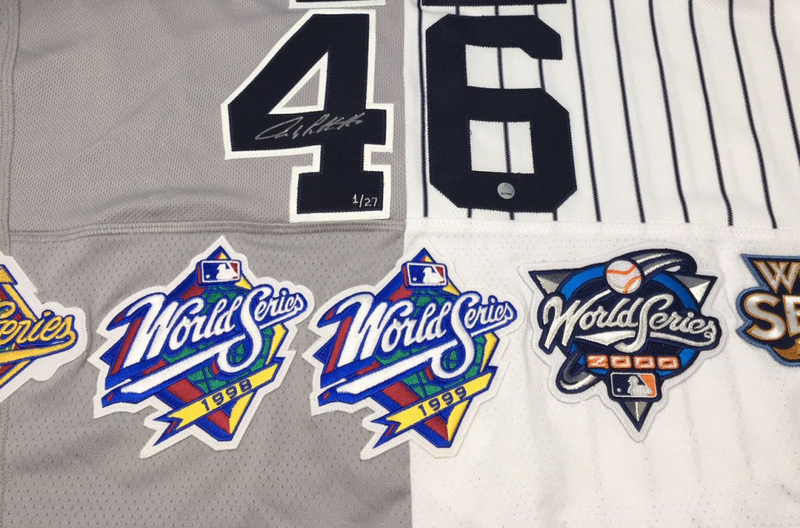 The jersey includes (5) World Series patches. 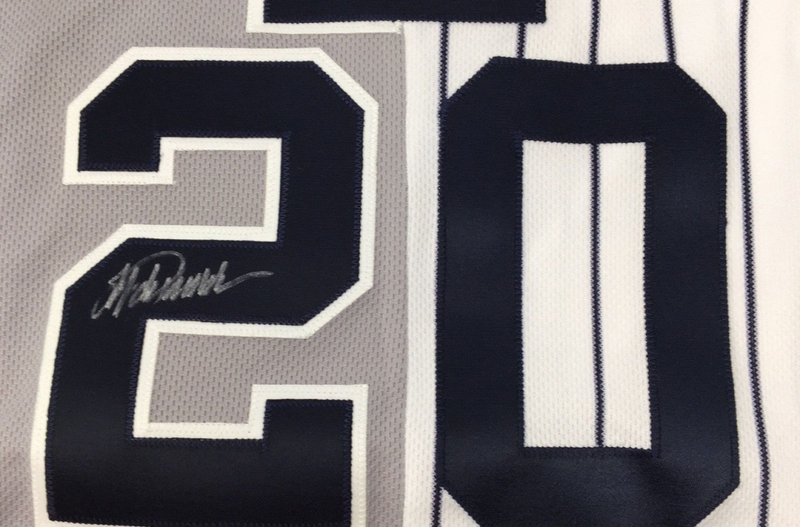 The jersey is a limited edition and has been hand-numbered #1/27. 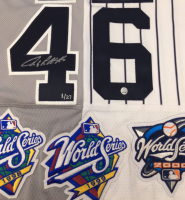 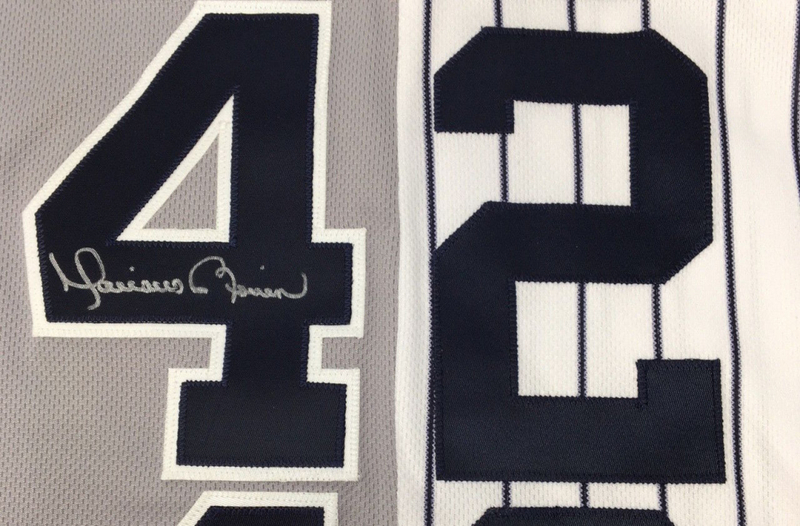 This "Core Four" authentic Yankees jersey has been personally hand signed by Yankees' legends Derek Jeter, Mariano Rivera, Jorge Posada and Andy Pettitte. 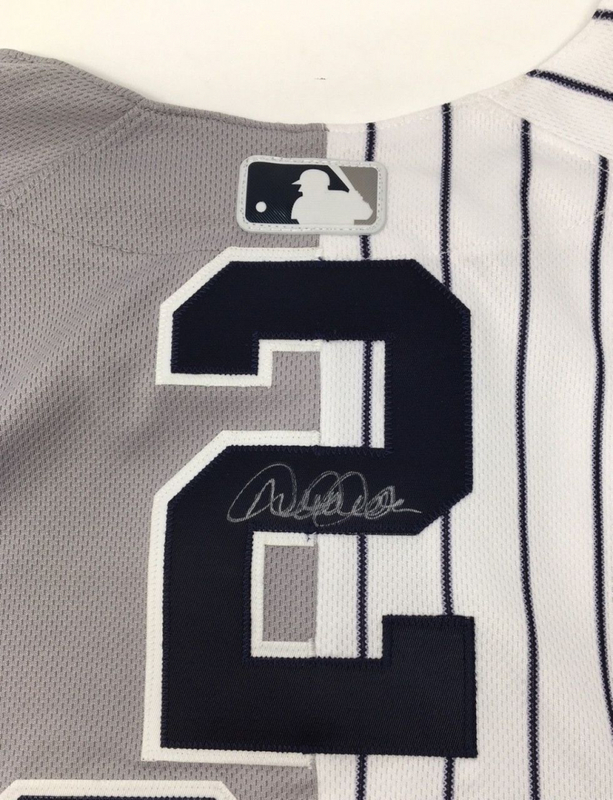 100% Guaranteed Authentic. 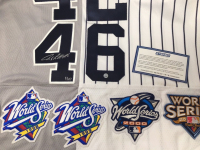 Includes Steiner Sports Certificate of Authenticity. 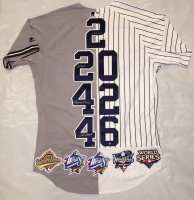 Features Tamper-Evident Steiner Hologram. 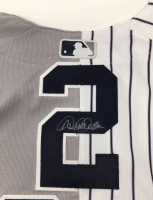 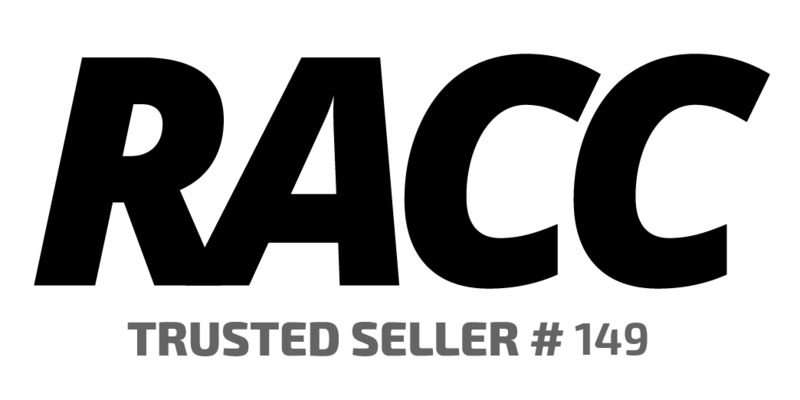 You are bidding on number "1" from the edition. 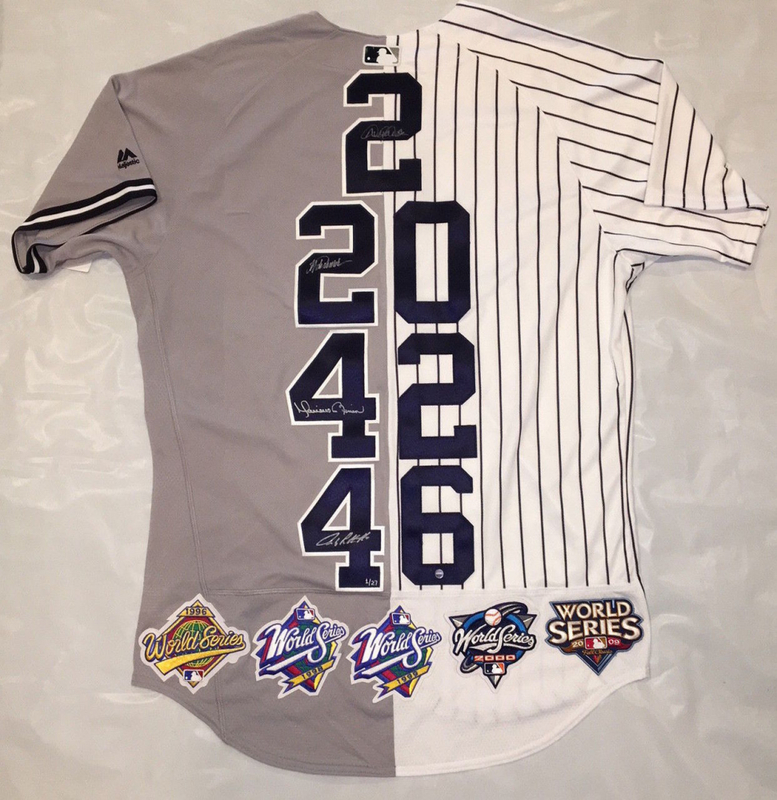 This product is guaranteed authentic and an accompanying tamper-evident Steiner Hologram. The lot / autograph(s) includes an official Steiner hologram for authenticity purposes.